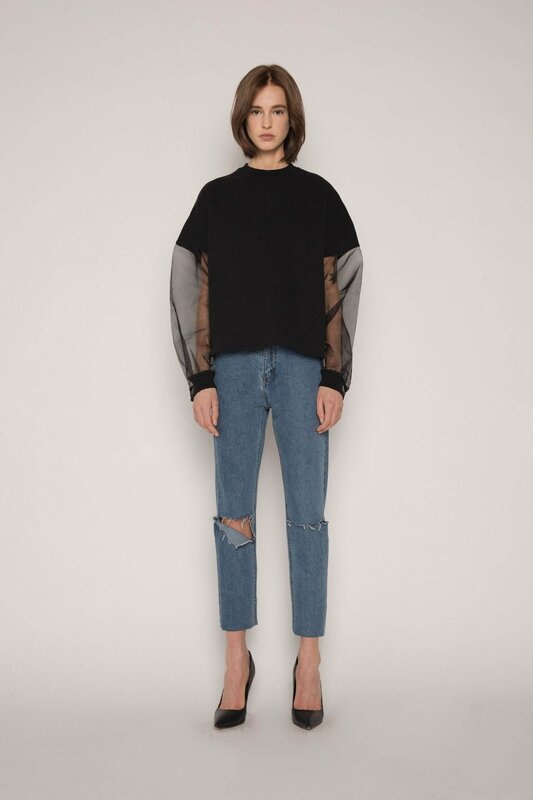 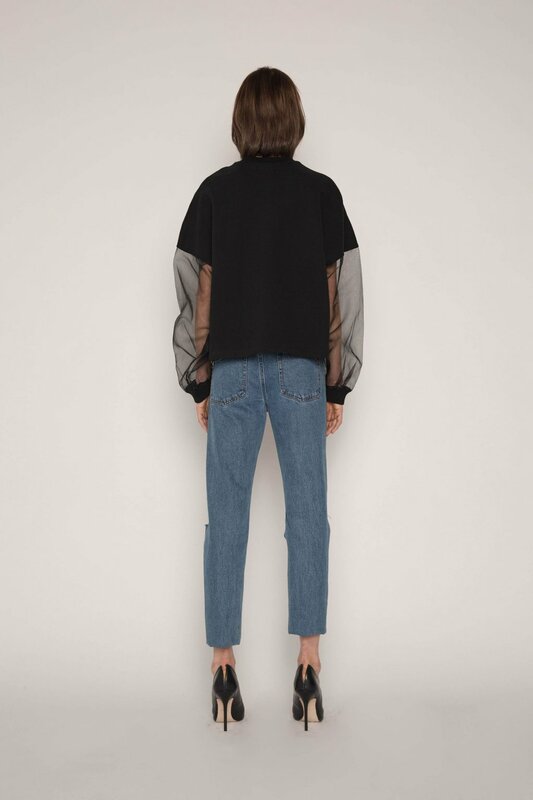 A feminine twist on the classic sweatshirt, this relaxed tshirt is crafted from a soft and cozy fleece and features mesh sleeves for a delicate yet edgy touch. 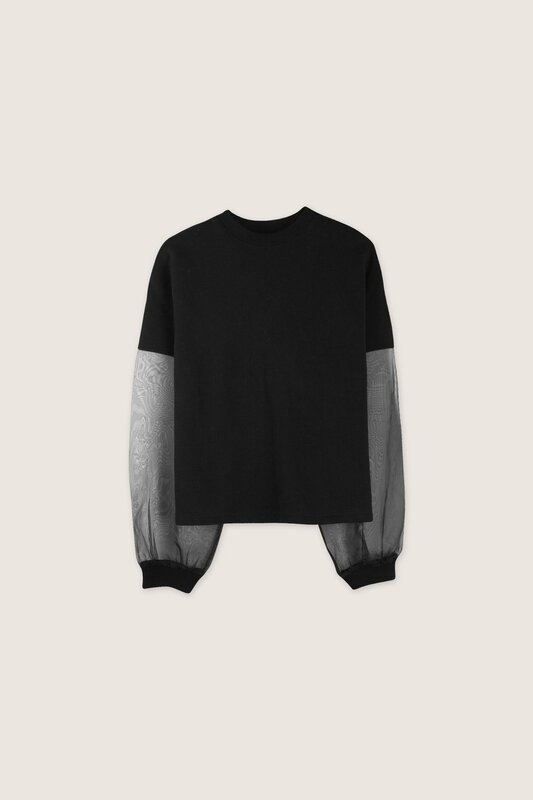 Minimal and effortless, this piece is a chic basic perfect for everyday wear. 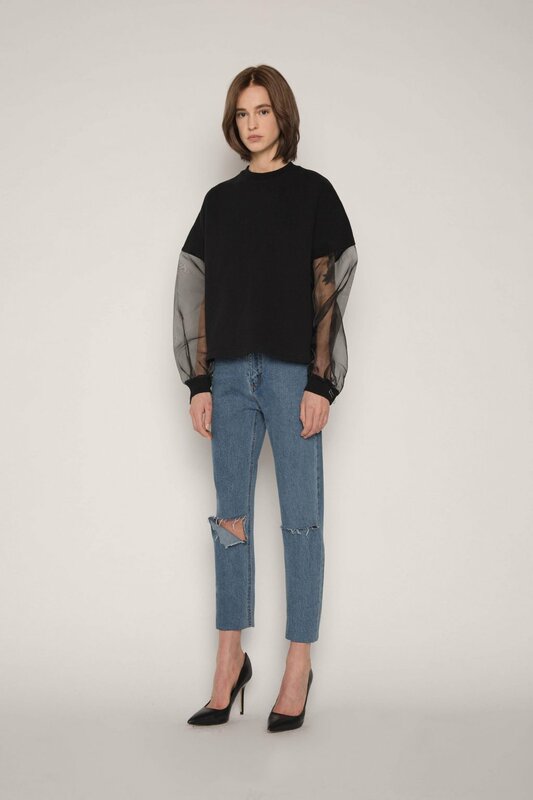 Pair with denim, leather jacket, and ankle boots for a cool and casual look.